How cute is this quilled bug in a jar? 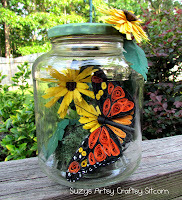 Suzy at Suzy’s Artsy Craftsy Sitcom did an amazing job with this quilling project. I’m always in awe at the patience these projects require. Check out this gorgeous necklace over at My Girlish Whims. Rebecca did a stellar job. This is beautiful (feel free to send me one… hehehe). 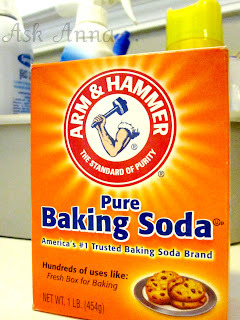 And the belle of the ball… With a whole bunch of awesome tips for baking soda… Anna at Ask Anna. Thanks for linking up everyone! If you were featured, grab a button from the sidebar. Can’t wait to see what you have for this week! And… Go! Thank you for hosting your weekly party!! Wow! Thanks so much for featuring my Bug in a Jar!! You just made my day! Hi, I have been slowly getting all the buttons togehter and made for the Twilight event and was wondering if you have a particular pic you want to use for your shop button? No rush, just let me know and I can make it. Thanks again.